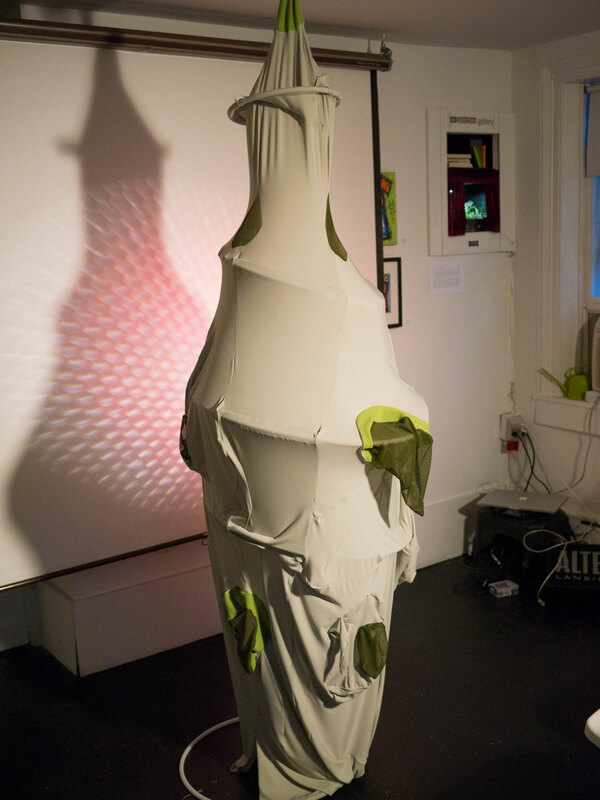 H. Gene Thompson and Arvid Tomayko have been collaborating since 2014, creating a language addressing the push and pull of human connection through installation and performance projects. 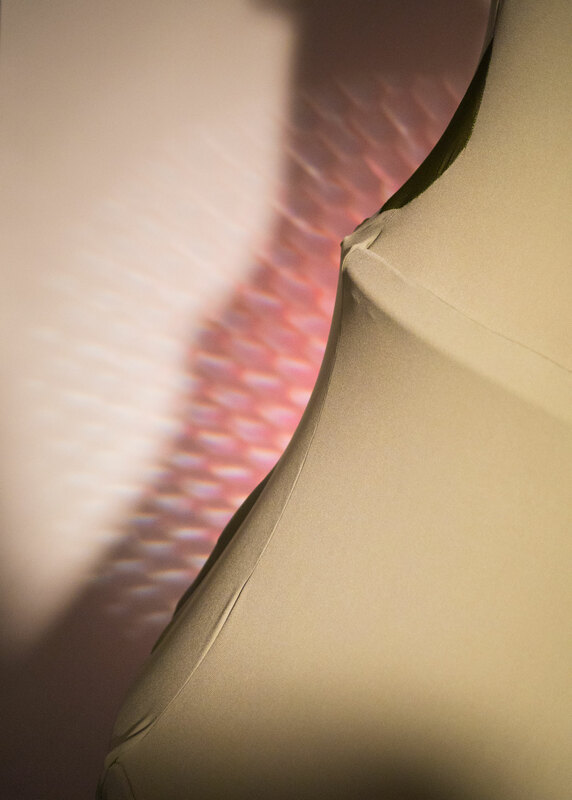 Using a combination of fabric sculptures, interactive sensors, movement, light and sound, the duo creates elastic wearable membranes joining and separating both the performers and audience alike. Central to their work is an interest in creating space that brings people together to consider the world in which we live. They ask their audience to consider subjects ranging from coral reefs to systematic economic oppression, and from humanitarian issues such as housing to exploring human connection as an alien concept. Each work addresses the complexities of human behavior as we strive to preserve and enjoy the spaces we inhabit. 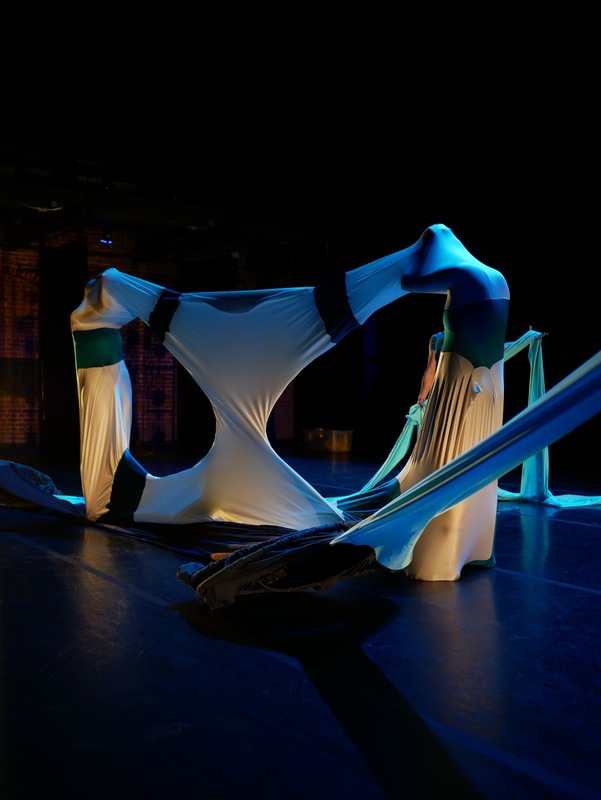 Apart From Me, premiered in February 2018, is an hour long stage performance telling the a story of the power of human connection using wearable fabric sculptures. 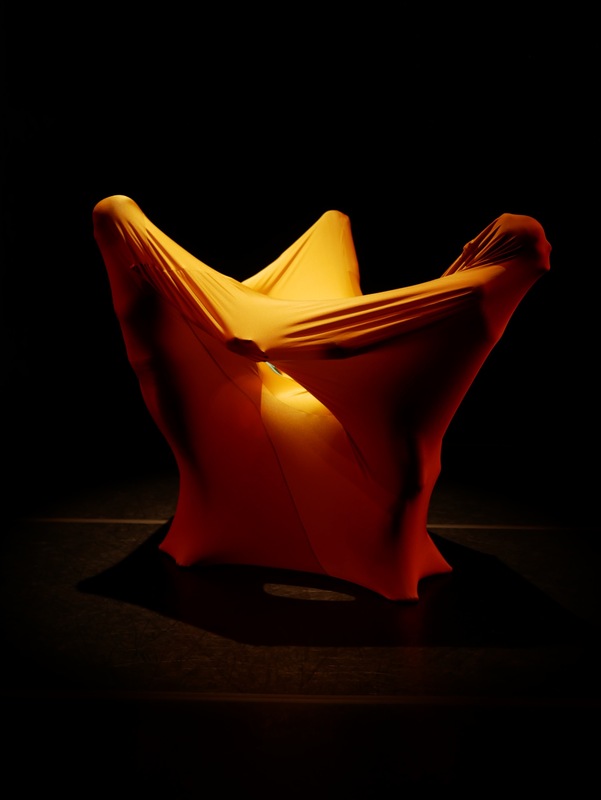 It is performed by 3 dancers wearing body sensors that control music in a reactive soundscape guided live by a sound performer. 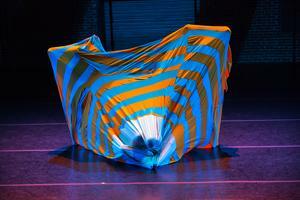 A Collaboration between H. Gene Thompson and Arvid Tomayko, with performers Ru Emmons and Anna Azizzy. Made in residence at the Pittsburgh Children’s Museum in 2017, Urchin Searchin Sound was an immersive environment built to withstand young people’s exploration and play employing oceanic sounds, imagery from coral reefs and reactive sound and light. Arvid Tomayko - Unique Max patches, Apple Mainstage, Controllers, Trumpet, Spring Reverb. Performers transform wearable fabric sculptures that control electronic music soundscapes.